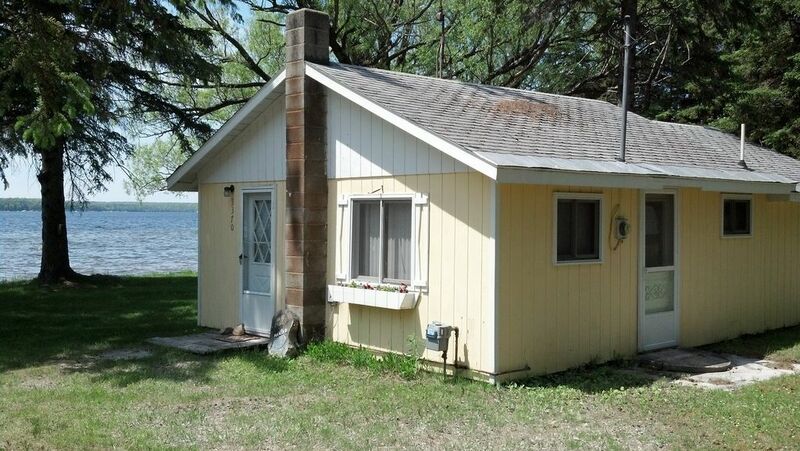 Newly Renovated 2 Bedroom Cabin Rental in Indian River On Mullett Lake. Closed for the winter. Enjoy our newly renovated 2 bedroom cabin located right on the shore of Mullett Lake in Indian River. 2 bedrooms with one double bed each and a pull-out sleeper sofa, sleeps 6. We offer all the amenities of home including linens, bath towels, wi-fi, satellite television in living room and one bedroom, charcoal grill, paddle boat, dock and buoy, new kitchen appliances, fully equipped kitchen, picnic table, outdoor seating. My husband, steven, grew up in indian river and has lived here his whole life. My grandparents bought a home in indian river and i started coming here as a child. Although i lived down-state steven and i met and fell in love and became long distance high school sweat hearts. After graduating from high school i moved to indian river. Steven and i were married in 2005 and have two sons, benjamin age 4 and brody, age 1. We love living here and are excited to share our love of the area with you! This is the perfect vacation rental property for your family. Mullett lake and indian river and the surrounding areas offer some of the best highlights that michigan has to offer. We are very centrally located for all kinds of activities including golfing, skiing, biking, hiking, water sports, fishing, hunting, shopping, and relaxing. We have something for everyone! The view from the front window is breath-taking and you can walk out your front door and immediately gain access to the inland waterways. Newly renovated with new appliances and furniture, wi-fi, satellite tv, dock and buoy, linens, bath towels, charcoal grill, fully equipped kitchen. We are located right on the shore of beautiful mullett lake in pigeon bay, offering immediate access to some of the best fishing and recreational boating in michigan. Right on the inland waterway! We had a wonderful stay at this cottage. Clean, affordable, owner was very nice and responsive, great lakefront property, very quiet neighbors, comfortable beds. I highly recommend. Wonderful location - fabulous lake view, private, peaceful. The lake is clear and clean for swimming as well as large and interesting for boating. The cabin has everything you need including a large yard, picnic table, fire pit and clothesline. I highly recommend this rental. Absolutely beautiful spot! Cabin was spotless! Erin and Steven were very accommodating and kind. I'm ready to rent again next summer...maybe before then! The lake and inland waterways were great. The cabin was fair but met our needs. Was not as clean as expected from reading other reviews. We really enjoyed ourselves in this cabin. The location was right on the water with beautiful views. Close proximity to abundant activities in northern part of Michigan. The cabin was clean and very well stocked & supplied. The owners were very gracious. There was some construction nearby, and they saw to it that work was only done when we were out for the day. Overall very positive experience. Nice little cottage with great lake frontage. Nice dock and yard. Neighbors are very friendly. Less than a 10 minute drive from town (Indian River). Paula's and Christopher's have excellent breakfasts and Vivio's was great for dinner (get there early as it's a popular place). Mackinaw and Gaylord are only a 30 minute drive in either direction. Would recommend for couples or a small family and those who travel with pets. During your stay you have access to any numbers of recreational activities! Our area offers golfing, skiing, hiking, boating, swimming, kayaking, fishing, shopping, fine dinning, and much more.